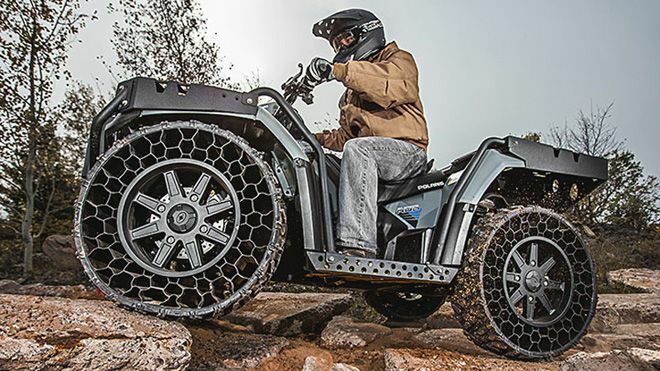 Polaris® Industries Inc, the leading manufacturer of off-road ATV vehicles, today announced the company is launching a new military-grade all-terrain vehicle (ATV) featuring Terrain Armor™ Non-Pneumatic Tires (NPT). The new Sportsman® WV850 H.O. 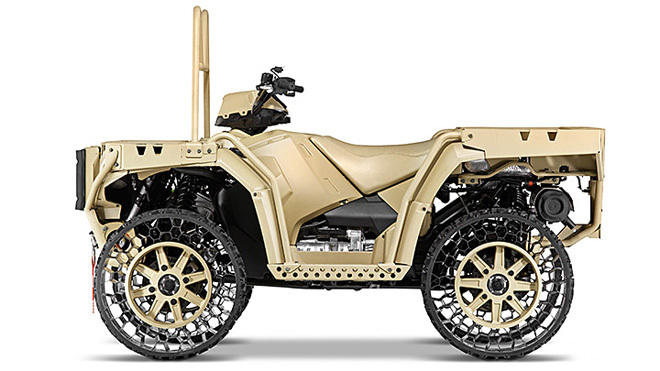 with Terrain Armor will be available to consumers looking for a true work vehicle, in December 2013, in very limited quantities. For more info contact your local Polaris Dealer.